I have had to update this post as the pictures had all mysteriously disappeared. I am also re publishing it as new so people have the chance to see it again as it was one of my first posts on here. Anyway here are some new pictures showing just a few of the many things you can make with this recipe. You can change the syrup for honey, maple syrup, marmalade. You can swap the sugar for another sugar of your choosing white/ light brown/ dark brown, which will of course alter the colour of the cookies too. Use whatever dairy free milk you choose. I love that this is such a versatile recipe and I guess that is what makes it so popular. 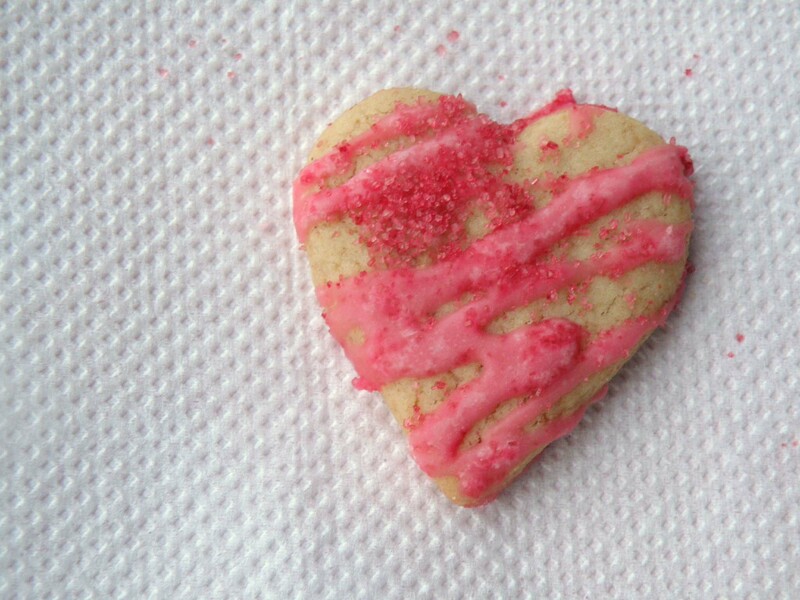 My kids love them so on Valentines Day I made heart cookies for all of the infant classes at my kids school and they liked them so much the teacher asked for the recipe to use during a baking class. Give it a try and if you do so then please feel free to visit my Facebook page and post your pictures and I will gladly add them on to the bottom of this post. In a food processor beat the sugar and oil for a few minutes. Add the treacle/ syrup/honey and chosen milk and blitz to combine. In bowl sift all the dry ingredients and gradually add to the wet in the food processor until you get a stiff dough and all the dry mix is used up. This can also be done by hand of course but this way is quicker. 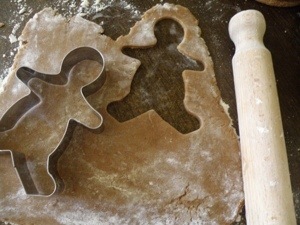 Roll out onto a floured surface and cut into desired shapes. Roll into balls and squash into cookies the sprinkle with sunflower seeds. In both cases I place onto baking paper on a baking tray and bake for about 8 to 12 minutes depending on how soft/crunchy you like your cookie. Overcooked cookies will be good for tea dunking so are not to be wasted. Leave to cool on a wire rack and make sure they are cooled completely if you plan to ice them. Leftover dough can be stored in the fridge for at least a week or in the freezer for a long time. and these biscuits look delicious! They look fab! 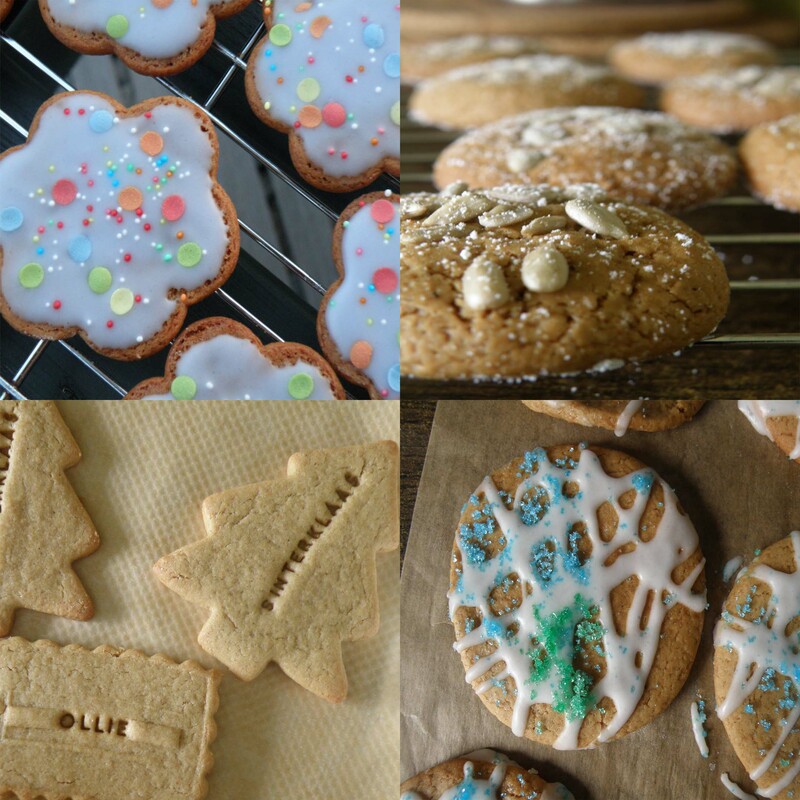 I love gingerbread cookies, yum! Great recipes from this site, thank you and merry Xmas.